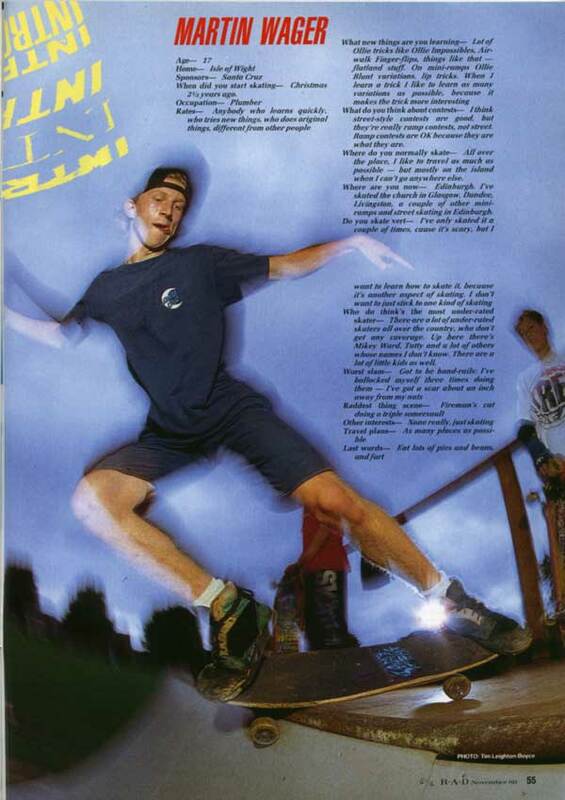 Rob Dukes is the skater featured in this Slam City Skates advert. I’m not quite sure where it was taken, but I would guess at Stockwell or maybe Kennington. 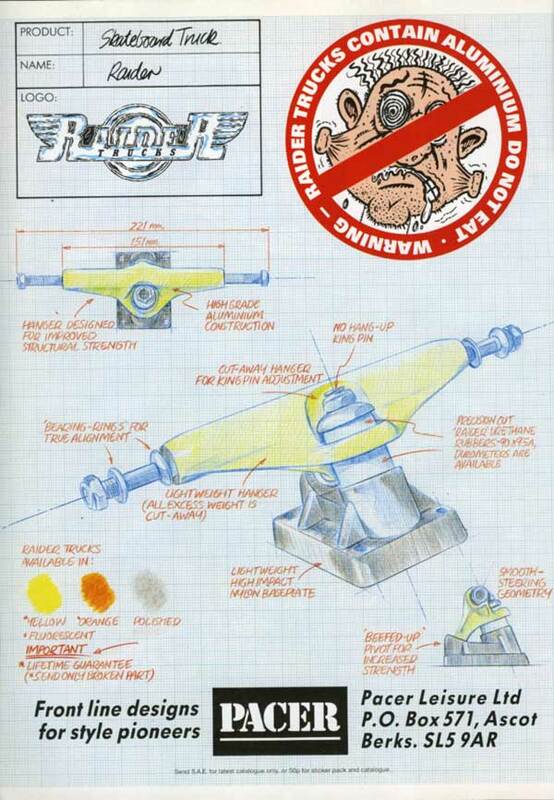 Pacer have an interesting place in the history of skateboarding in the UK. 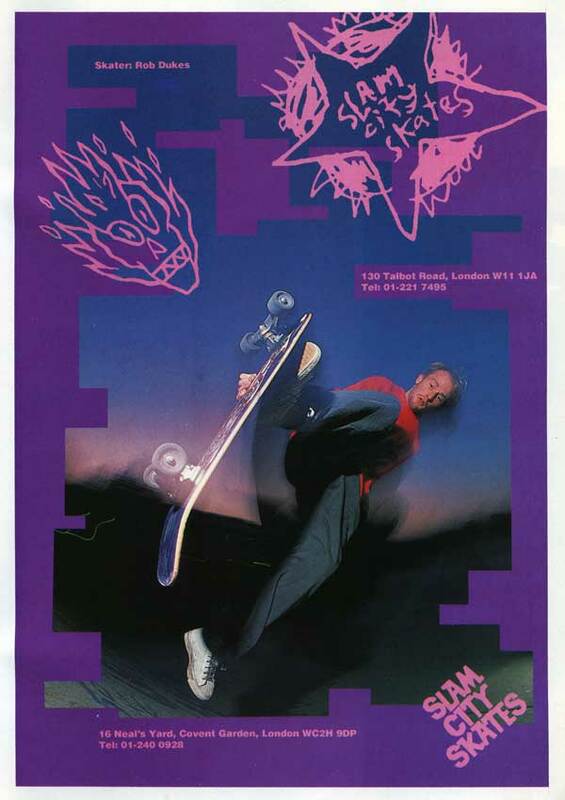 Steve Constable was one of the first people to import skateboards into Britain in time for the boom of the nineteen seventies. I think the “Shark” boards were his. The company was called “Gecko” and distributed G & S, ACS and Powell at various points. 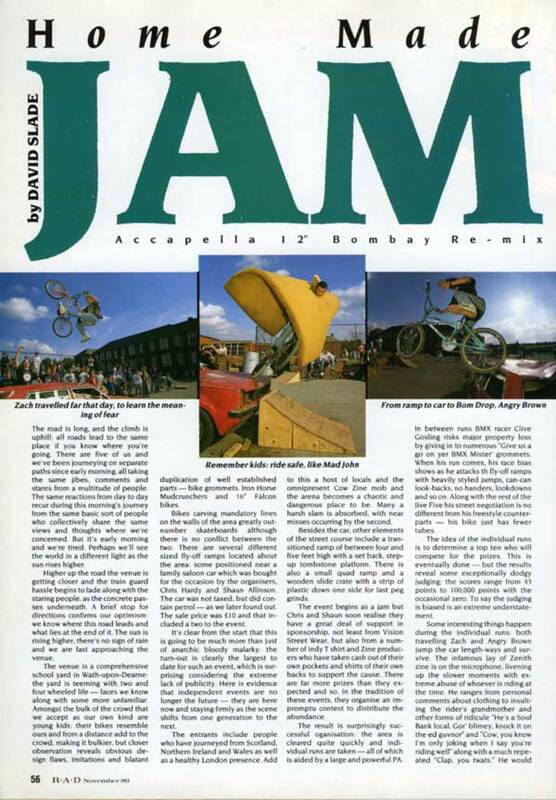 During the BMX years they followed the same strategy of concentrating on big names (Redline, Kuwahara, ACS again) only to see the big sales going elsewhere once again. 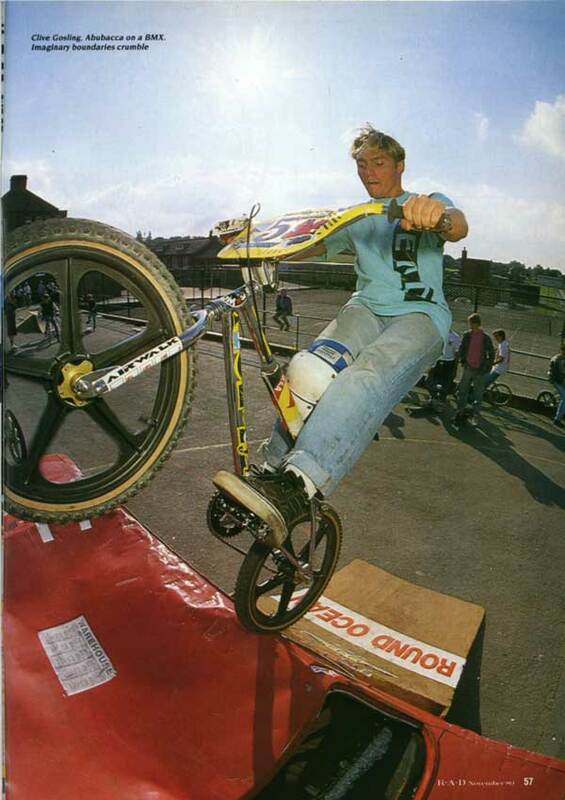 During the eighties and nineties Steve and his business parter Adrian Parsons took a different approach and aimed to create their own brand, Pacer, concentrating on the middle part of the market. I don’t think it really worked. 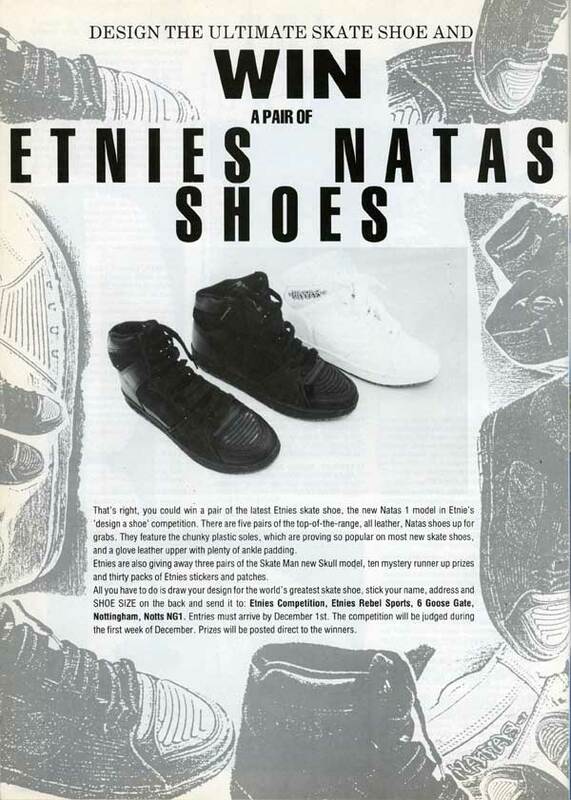 I suspect that most people would only think of Death Box if asked to name a British skateboard brand from this period. 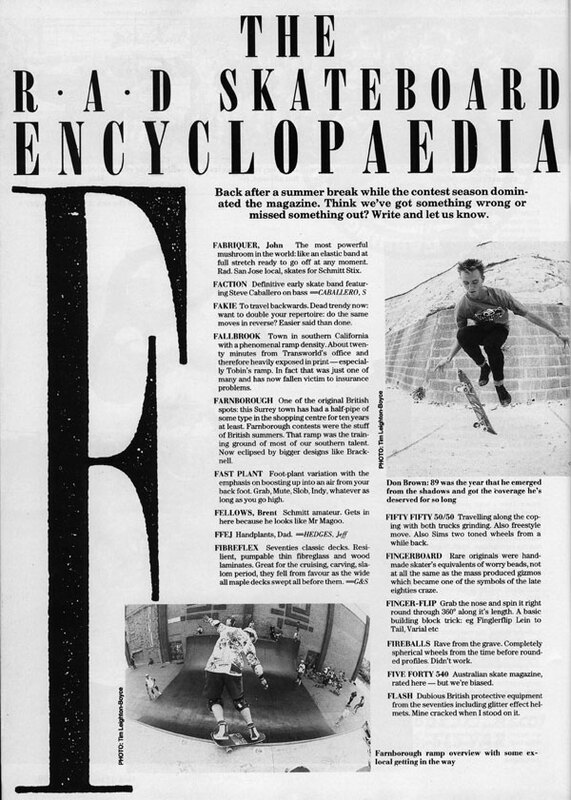 I wish we had run more pictures full page, but space was always a problem. Although I hated big competions, I loved events like this. 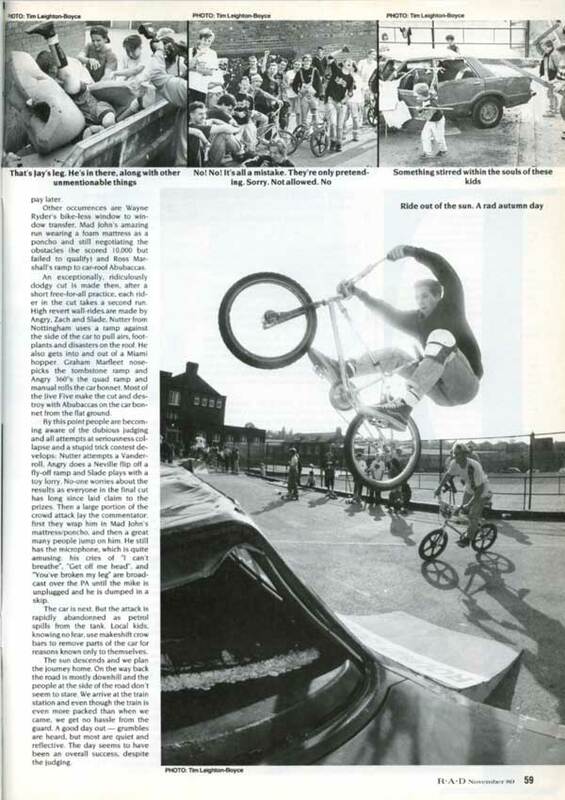 David Slade’s report on this BMX street competition is a great insight into how it all was before big events had taken hold. This was about as rooty as it gets. Such things still happen now, but maybe they are the exception, not the rule. This is how it was. A good read, even if we couldn’t spell Zac Shaw’s name. The road is long, and the climb is uphill: all roads lead to the same place if you know where you’re going. There are five of us and we’ve been journeying on separate paths since early morning, all taking the same jibes, comments and stares from a multitude of people. The same reactions from day to day recur during this morning’s journey from the same basic sort of people who collectively share the same views and thoughts where we’re concerned. But it’s early morning and we’re tired. Perhaps we’ll see the world in a different light as the sun rises higher.